My review of drummer Marc Norgaard's new CD Tolerance has been posted at Modern Guitars Magazine. This album features Brett Garsed and Frank Gambale on guitars. UPDATE 9/22/07: I've republished my review below. Maryland-based drummer Marc Norgaard has released his debut solo album Tolerance (Call Sign Records). This collection of progressive-rock and jazz fusion instrumentals features an impressive array of great musicians. 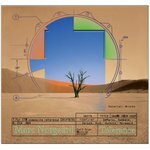 Joining Norgaard on this release are Brett Garsed (Planet X, Uncle Moe's Space Ranch), Frank Gambale (Chick Corea, Nu Alliance), and Tobias Hurwitz (National Guitar Workshop) on guitars, Steve Hunt (Allan Holdsworth, Stanley Clarke) on piano, and Dave DeMarco (Oblivion Sun) on bass and baritone guitar. Norgaard wrote and arranged all the songs, handles all drums and percussion, and plays some additional guitar, piano, and bass. Though there's a definite jazz vibe on many of these songs, overall I would classify Tolerance as a progressive-rock album. However, this isn't prog rock in the Planet X or Liquid Tension Experiment sense. The abundant use of piano and shimmering clean-toned guitar parts give the album a unique flavor. For the most part, the melodies are fairly upbeat, and the instrumentation is bright and airy. And nearly every tune uses an odd meter of some sort, at some point. Even though Norgaard is a drummer, their aren't a lot of overt drum solos on this disc. However, the drum parts on every tune are highly intricate, and really provide the foundation for each piece. From a melodic standpoint, the music on Tolerance relies heavily on the guitar, and Norgaard chose some top-notch players to help him with that cause. I'm always interested in new releases that feature Brett Garsed or Frank Gambale, and this one has proved to be a pleasant surprise. Garsed plays on the majority of the tracks and he sounds great as always. His tone really fits in well here - as usual he has just enough gain in the signal to give it some sustain, while still remaining clean enough to let his touch shine through. I know Garsed considers himself a rock guitarist, but his mature vocabulary and uncanny knack for playing articulate, convoluted sixteenth-note lines (with his highly developed hybrid-picking technique) place him a notch above other "rock" players who might attempt to fit in on this type of material. Gambale is another guitarist who can seemingly fit in anywhere, but on Tolerance he's showing more of his jazzy side. He's still using a rock tone here, and he plays some of the fastest economy picking runs I've ever heard him play, but the two songs he appears on are among the lighter offerings on the album. You'll get a good idea of Norgaard's writing style from the opening track, "Tolerance." This song shifts gears several times, hitting you with different rhythms, melodies, and moods throughout the piece. Garsed pulls out his slide-guitar chops for this song with great results. "Goes to Reason" also features Garsed, and is a great example of how versatile he can be. This tune has a lighter, jazzy feel, and Garsed's solo fits in perfectly. He's one of the only players from the "rock fusion" scene who can play with the subtlety and sophistication he displays here. Garsed also has strong performances on "Day in the Desert," and "Pirate Sized Hangover" (the heaviest song on the album). Overall though, the Garsed track that really stands out for me is "Papaya Dream." This is arguably Norgaard's strongest composition on Tolerance. With great melodies, varied rhythms, and Garsed's best solo on the disc, this song, for me, is the high point of the album. Gambale appears on the tracks "Last Leg Home" and "Summer Storm" (both of these tunes feature great piano work from Steve Hunt as well). "Last Leg Home" is a lighter jazz tune, whereas "Summer Storm" is a bluesy ballad. Gambale really rips on both tracks, but I particularly like his solo on "Last Leg Home." It's short and to the point - in addition to playing some nice lines over the changes, he whips out a couple of super-fast runs that fit in perfectly. He seems to have more playing time on "Summer Storm," where he carries the main melody and plays lots of strong blues phrases. Bassist Dave DeMarco takes a nice baritone guitar solo on this track also. "Seventh Mile Fog" features Tobias Hurwitz on guitar. Hurwitz turns in a truly shredding solo here, but I thought his tone was a little too heavy for this song. Granted, the track has a "power ballad" vibe to it, but I think it would have been better served had Hurwitz dialed back the distortion a bit. That said, Hurwitz is obviously a talented player, and he really shows what he can do on this tune. On the albums closer, "Retrospective," Norgaard plays all the instruments himself. For this piece, Norgaard takes a simply melody and keeps building on it to create a sort of pop-meets-prog magnum opus. As this last track helps to prove, Norgaard's talents go beyond his drum kit. As a writer, arranger, and multi-instrumentalist, he knows how to craft melodic compositions that also contain advanced rhythms that are both complex and interesting. Tolerance represents a fine display of Norgaard's overall musicality, and is a great showcase for the guitar talents of Garsed, Gambale, and Hurwitz.